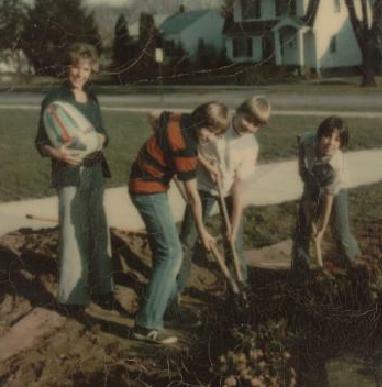 Ms. Hazeldine and three hardworking students bury the Coolidge Elementary time capsule in 1974. The popular teacher now lives in Florida and will be 79 in December. Coolidge Elementary closed in June after 83 years of educating Flint students. A time capsule, buried by the class of 1974, will be unearthed in a ceremony on September 24th at 2 p.m. and all are invited. For more information, check out the Coolidge School Facebook page. Now this is the type of story I like to see. Great Memories.